This News page aims to keep everyone up to date with all the goings-on in our busy branch. 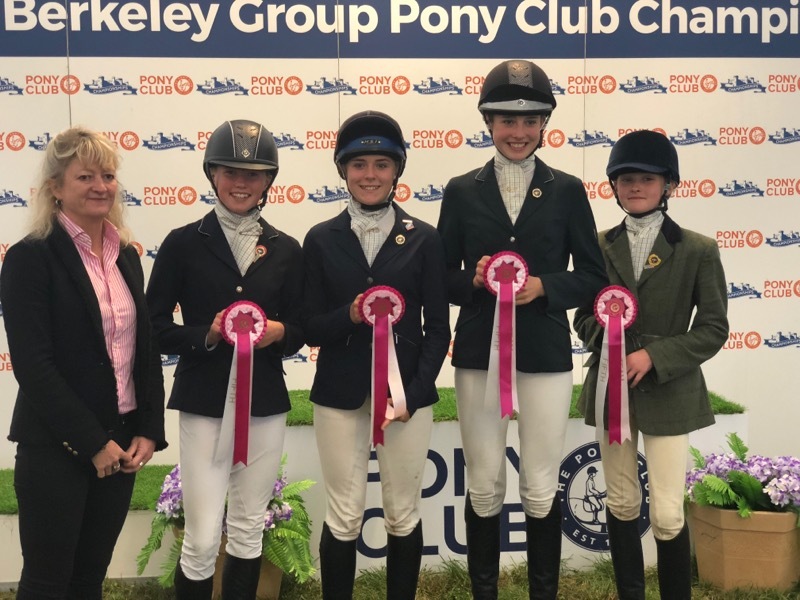 Please send all your news, results or dates to ally.mahoney@icloud.com News and results don’t have to just be related to Pony Club events so keep us in the loop! New information for those of you planning to book on to the hot date of the year! Please see the Junior Camp page for more information. 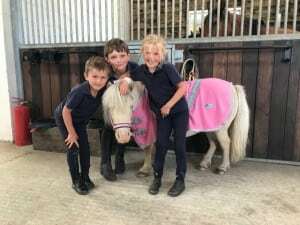 ‘It is important that you make sure that your ponies/horses are up to date with their vaccinations. We ask that you do not attend any rallies until your ponies/horses are fully covered. We will be checking passports and you can either bring your passports along to any rallies that you are attending or email them to me at least a week beforehand. Any out of date or unvaccinated ponies/horses will not be able to take part in rallies. If you are unsure whether they are fully covered then please contact your vet for advice. PCHQ have confirmed that the champs will take place on 16th-20th August 2019 at Cholmondeley Castle. 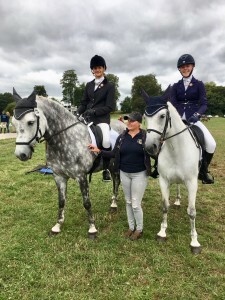 During the first week of September SOHC sent a team of four riders contest the prestigious Eventers Challenge class (90cm) at Blenheim Horse Trials. A tough competition with a tight time for the course, our team ended on a combined penalty of 8 which was a great result. SOHC came 5th out of over 30 teams. The competition is at a high level attracting branch teams from a wide area. 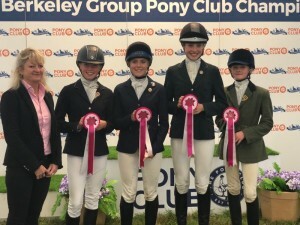 The SOHC team were Ruby Ilsley, Venetia Mahony, Charlotte Minford and Mollie Palmer. 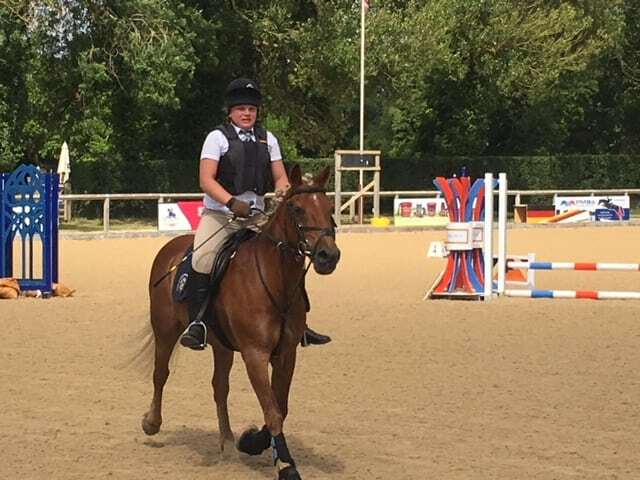 Phoebe Woods and Florence Wooten won the 55cm Pairs class at Lyford Stud Hunter Trial. Phoebe was riding Charlie for only the 3rd time and it has been a while since he has been cross country at this level but he loved it. 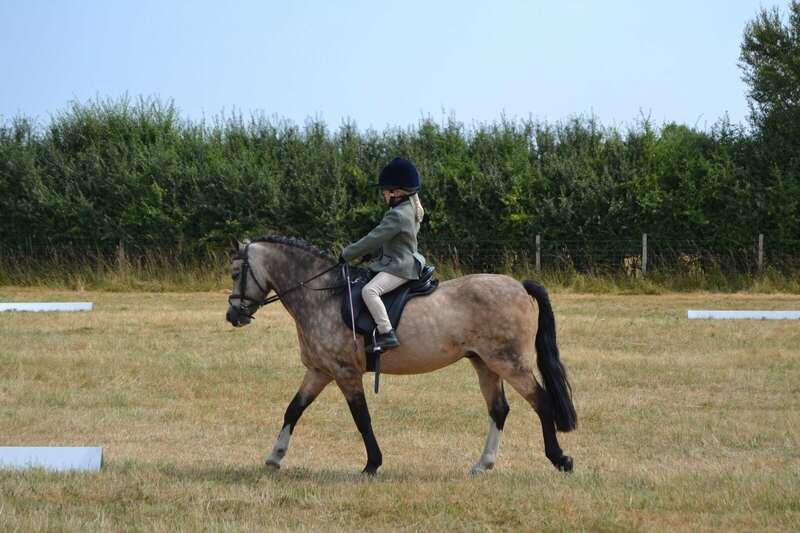 Florence had a busy day as she also rode Poppet and Ted in the 45cm class and was 4th on Ted. The whizzy Woods and Wooten team! 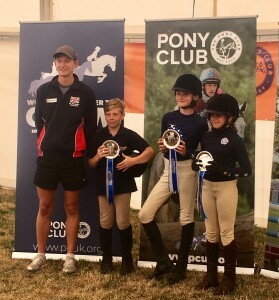 SOHC were very proud to be represented in all three disciplines at the regional championships this year. 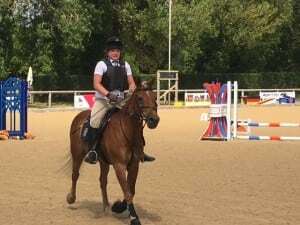 In the dressage champs Max Michaelis and Sonic came 6th in their arena, which is a great performance given that Max is now at boarding school and so has limited riding time! In the Showjumping SOHC were represented by Isabel Bhatia and Millie Minford who did well over the complex course, scoring 4 faults and 8 faults respectively. Finally in the eventing, the team of Elizabeth Jelfs, Venetia Mahony, Isabel Bhatia and Millie Minford came 4th by only 0.3 of a penalty! Individually SOHC were proud to see Elizabeth in joint 4th, Max in 5th and Isabel and Venetia joint 6th. 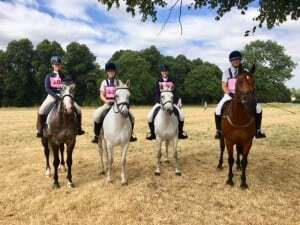 Our regional eventing team did SOHC proud! 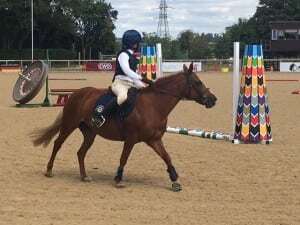 Day 3: SOHC were represented by Evie Shrieve and Millie Mahoney in the Intermediate Championships in the Individuals section. It was a very hot class with only 5% separating all but the top two and a lot of places being decided on collectives! 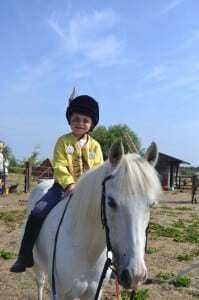 Evie rode a beautiful test and her young future superstar Murphy held himself together so well in the busy atmosphere. 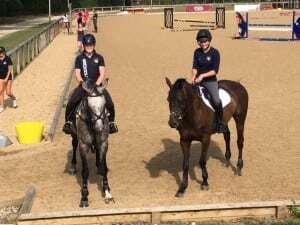 Millie and Mary had a very bouncy warm up but thanks to the wise words of super coach Tiggy Bentley they were more settled when they entered the white boards! Millie burst into tears on the way out (dim Mum thinking she had missed out a movement maybe?) but it was actually because this was the last event M&M would contest together. They claimed 8th which was a wonderful and unexpected way to end. 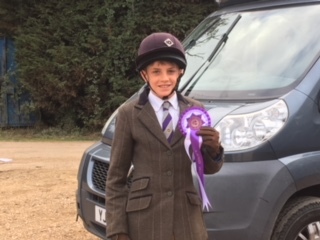 Good luck now to James Tappin who is riding in the Open Dressage test as part of his training on the Pony Club Pathway squad. Evie, Tiggy and Millie with the wonder greys and matching skies! Day 1: SOHC sent two teams to contend the Novice Team Champs yesterday. The Novice Dressage team of Anna K, Gini, Tiggy G and Elizabeth all performed very well with over 62% scores apiece; the highlight being Gini coming 7th in her arena. 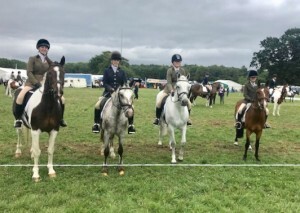 SOHC Novice Dressage team who did us proud. 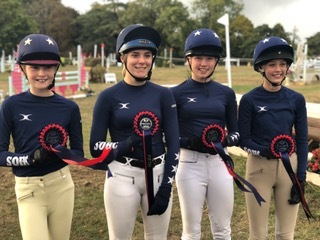 The Novice SJ team of Mollie P, Ruby, Olivia and Venetia claimed a fantastic 5th place (out of over 30 teams) after jumping two extremely tricky courses. Venetia was one of the youngest there and is currently on the front page of the main Pony Club website! Full reports will appear in due course. Evie and Millie Mahoney will be competing on Sunday in the Intermediate Dressage. SOHC Novice SJ team: 5th!! SOHC ARE TETRATHLON NATIONAL CHAMPIONS! The SOHC Grassroots and Junior teams have just come home from Offchurch Bury having claimed BOTH the Grassroots and Junior Girls National Titles. The Grassroots team of Venetia Mahony, Elizabeth Jelfs and Jake Palmer-Shaw led their event from start to finish showing a great sense of camaraderie and drive. The event was held over two days; with shooting and swimming on Friday and riding and running on Saturday. With 54 competitors all vying for the national title over the two days our team were superb in all four phases to claim individual 1st place (Venetia), 3rd place (Elizabeth) and 4th place (Jake) as well as the national team title. 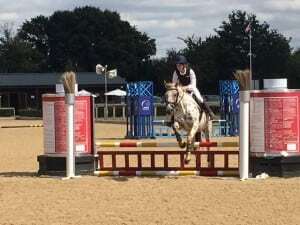 Venetia won the run and Jake and Elizabeth both rode beautifully balanced clears over a course where poles were flying and riding became more cavalier as riders tried to make the tight time and had to negotiate a slip rail! Grassroots National Champions! Jake, Venetia and Elizabeth. The final day dawned wet and rainy – perfect for a testing 1500m run! The Wheatland team who were lying in 2nd were known to have great runners in their squad. SOHC were relying on their two weakest runners – Ruby and Millie – to deliver something fantastic to try and hang on to the win. Olivia put the disappointment of the Saturday behind her and delivered a strong run before setting about encouraging her team mates. Mollie set off next and ran a storming race (cheered on by SOHC parents and supporters throughout) on very bumpy ground. She clocked one of the fastest times of the day and really gave the rest of the team a boost. Ruby, a county sprinter, showed huge strength of character to smash her middle distance PB by 12 seconds over an undulating course with rough ground. Millie was in the last heat and didn’t lose her head when most of the field set off like lightning. She ran her own race and thanks to coaching from Katie Mahony smashed her PB by 28 seconds to come in the top third of the field! The final scores showed that SOHC had won by 9 points – equating to 3 seconds on the run or 3 metres in the pool! Mollie and Millie also made it into the top 15 UK rankings with 12th and 14th positions respectively. A huge thanks to all the parents, ponies and supporters who helped our tetrathletes dreams come true and especially to the Pony Club Tetrathlon committee for arranging an amazing three days – especially seeing our girls transform into the Spice Girls for the Saturday night disco!! Finally, a big shout out to Caroline Hawkins, who despite still fighting off desperate illness had time not only for her daughter Elizabeth but for both teams; course walking and advising whenever required. 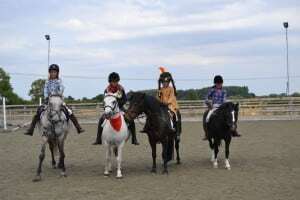 FANTASTIC JUNIOR CAMP FOR RIDERS AND PONIES! 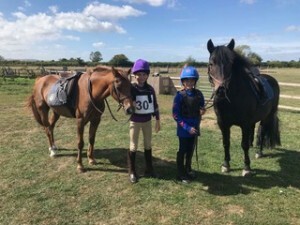 Junior Camp was held once more at Manor Farm, courtesy of the Flanagan family and was a big hit for riders and ponies alike. Riders enjoyed a packed and creative agenda thanks to instructors Tiggy and Metta along with great weather and lots of delicious food. All the ponies showed that they could turn their hooves to anything from dressage, jumping and Cowboys and Indians (very apt landscape for it at the moment!). Huge thanks to Tamsin Woods and Popsie Wootten for organising such a fun filled, interesting week for all. SOHC invited SOH(S) to join their camp at Cherwell Competition Centre last week and all 30 campers deemed it a great success. The Camp Committee want to thank everyone who gave their time, expertise and good humour to make it such a great week. Campers had 4 top instructors in Tiggy Bentley, Jane Adderley, Sarah Thorne and Guy Moore who went above and beyond to tailor the week to their group’s requirements. On the ground campers enjoyed a great pilates session with former committee member Sally Wells who opened everyone’s eyes to how equi-pilates can benefit your riding and your horse. 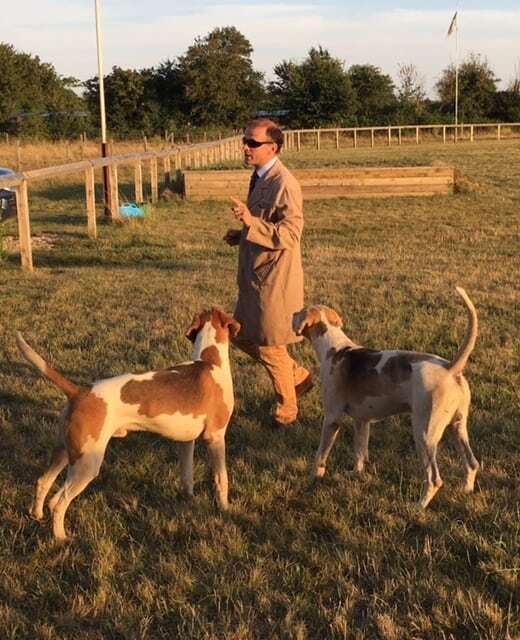 The Kimblewick Hunt bought 3 hounds in and entertained everyone with anecdotes and advice on how to start hunting. 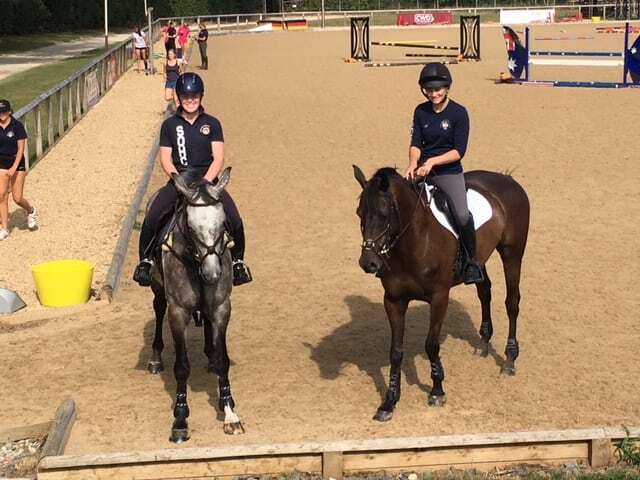 Two older SOHC members, Ellie Hope and Ella Flanagan delivered a great SJ masterclass under the tutelage of Sarah T and we were lucky enough to watch a para-dressage demo with the very talented GB rider Mollie Bowen-Morris and her new mare who are coached by Tiggy. Evening entertainment ranged from pony racing inflatables, movies and a treasure hunt to ensure everyone went home tired but happy! 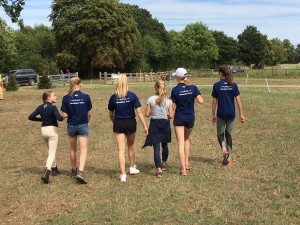 Campers also all took part in an Eventer Challenge, which started with some stress-age in the morning followed by a course of both SJ and XC fences – making the best use of Cherwell’s fantastic facilities. The day started in lovely cool conditions at 8:30am or our 90 team of Molly, Ruby, Becca B and Charlotte. All scored similar dressage marks. The SJ was deceptively tricky with a couple of slopes and very light poles! Becca experienced what we all dread most – tack failure – which sadly meant they had to retire but were lucky enough to be allowed XC HC. The other three girls rode beautiful clears and all headed off to the XC with confidence. The XC seemed deceptively simple with the ground and heat really affecting how a lot of the ponies ran. Unfortunately Beccs’s youngster had to retire, Charlotte had three stops, Molly was awarded XC save of the day as Spider body surfed a log but Ruby and her new pony Lottie came 7th individually, just missing out on qualifying. 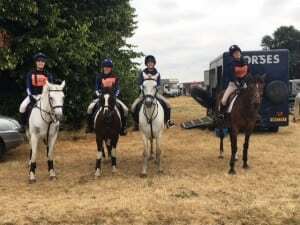 We had 5 members riding in the grassroots, a team comprising of Elizabeth, Venetia, Millie Minford and Isabel, with Max riding as an individual. 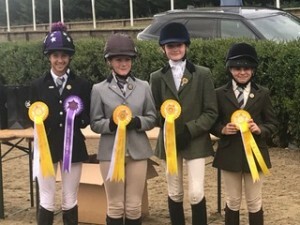 This group were the highlight of our day with Elizabeth riding a dressage test to a level way beyond her years, scoring 24.17 and double clear to come first in her arena. 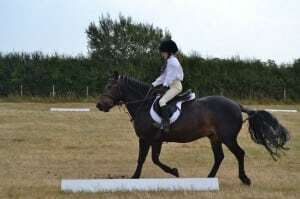 Venetia also rode a fluent test and went double clear to claim 2nd in her arena. Isabel claimed 7th and Millie 8th, with both showing lots of potential and with their enthusiasm will be real contenders for the future. Max riding Sonic produced a lovely test for 29.17 and going double clear meaning he took the 3rd qualification spot as an individual. The team qualified as the top branch team and were also far younger than any other rider in that category. The future looks very bright for SOHC! 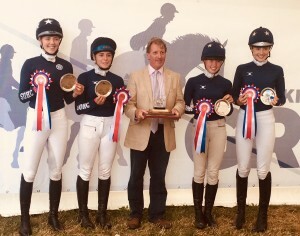 The 100 team of Gini, Millie H, Millie M and James all rode well presented dressage tests. In the SJ James showed exactly why he had been selected for the Pathway Squad staying on during a particularly tricky leap which involved his horse sliding on its nose! Millie M had 4 faults with an equally dramatic leap and sadly Gini was eliminated. Millie H rode a beautiful clear on her youngster, showing her experience and skill over the challenging track. The XC did not go as planned with Millie M performing acrobatics over the last but one fence, resulting in a 10 minute hold on the course with paramedics attending (she is fine and so is Mary). James Tappin unfortunately had one stop and Millie H wisely withdrew. SOHC 100 team – before the wheels fell off!